(C) An approved faculty photo, managed by Marketing and Communications. 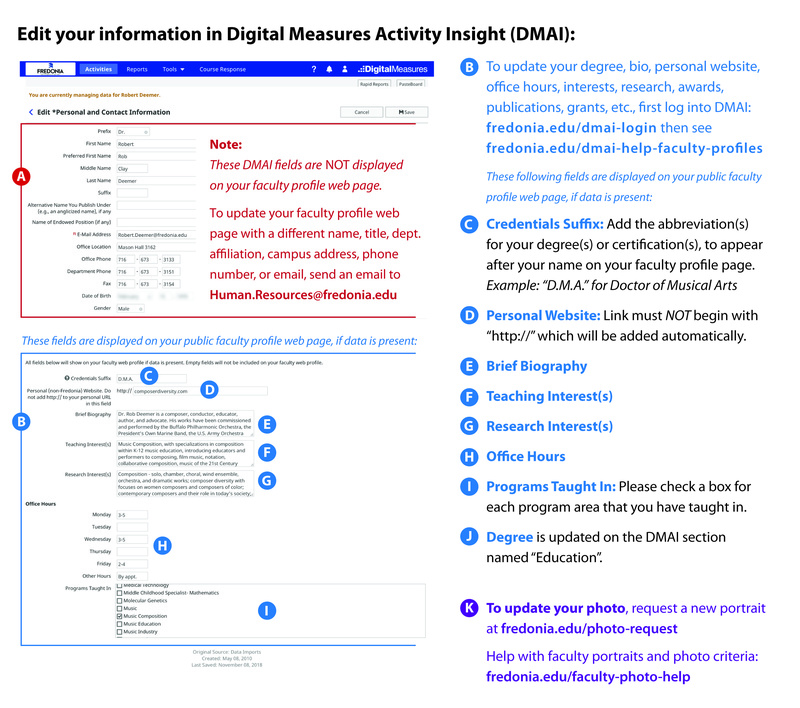 NOTE: Updates made to your faculty profile in Digital Measures Activity Insight (DMAI) or to your HR directory data may take several days to appear on your public Faculty Profile web page on the Fredonia.edu web site. 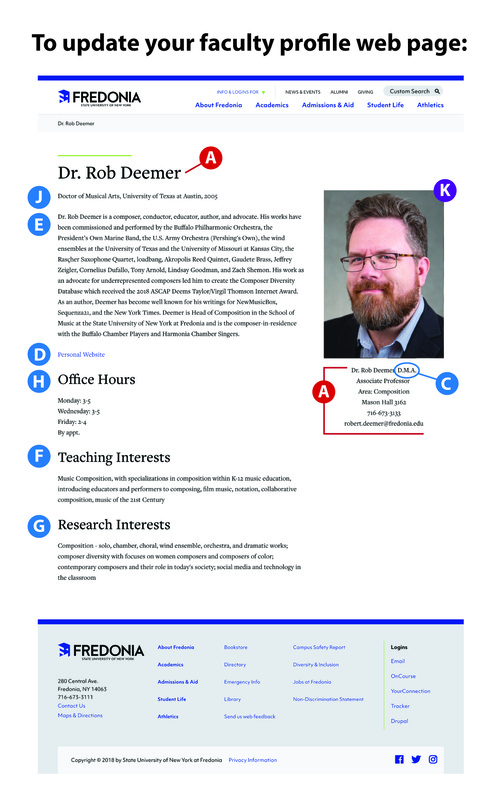 To update your name, title, department affiliation, campus address, phone number, or email, please send an email to Human.Resources@fredonia.edu. 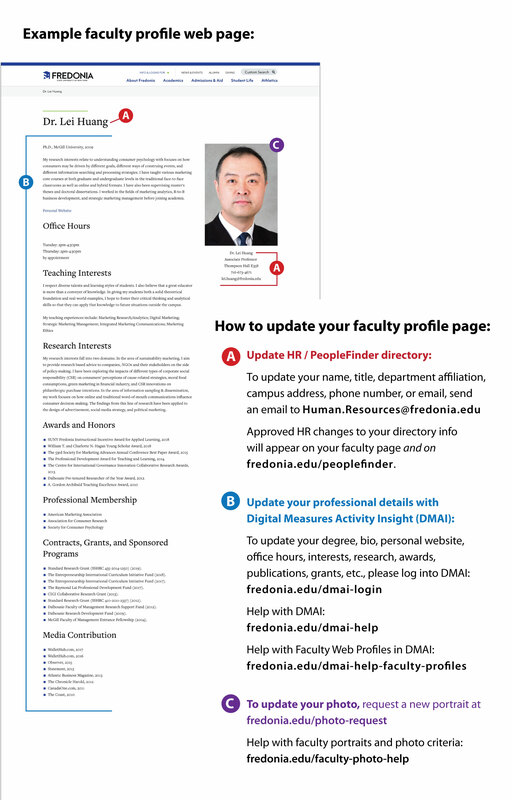 Approved HR changes to your directory information will appear on your faculty web page and on fredonia.edu/peoplefinder. Click on the images below to view them at a larger size. To update your photo, please request a new portrait at fredonia.edu/photo-request. Marketing and Communications will update your "official" approved photo for the university. New faculty photos are taken in the Photo Studio, located in the Marketing and Communications offices, on the first floor of Gregory Hall. All faculty will have the opportunity to review their photos and select the final approved photo from the photo studio session at Marketing and Communications.